You’re not competing with another person, you are competing with my comfort zones. 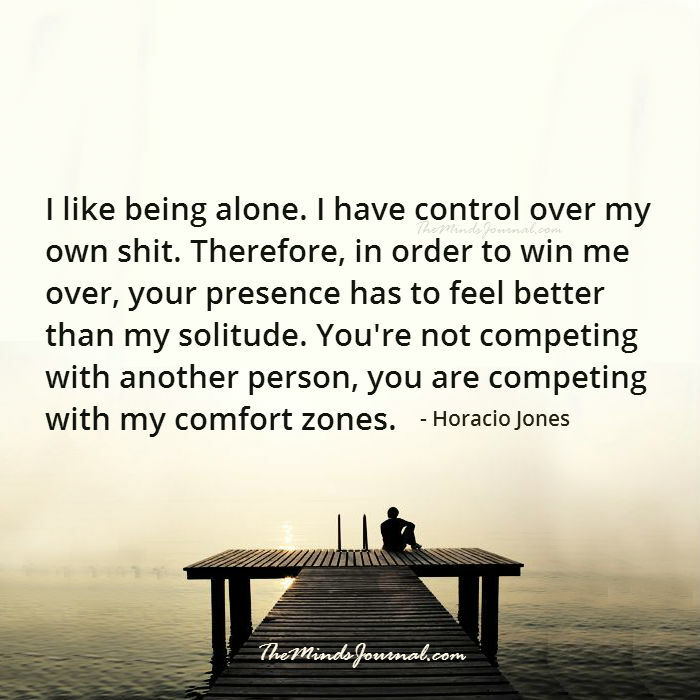 Not so much my “comfort zone” but stimulate me in one form or another more then I do myself. When I find someone who fits into my world in just the right way, I’ll go out of my way to include them. I enjoy being pushed out of my comfort zone. It’s extremely exciting. That’s how growth becomes possible. Comfort zone equals boredom to me. Too stagnant for my taste but I’ll do what I have to in order to stay afloat in my life, right now. If that means staying to myself for the moment, that’s okay with me. Just a temporary state of being, after all.